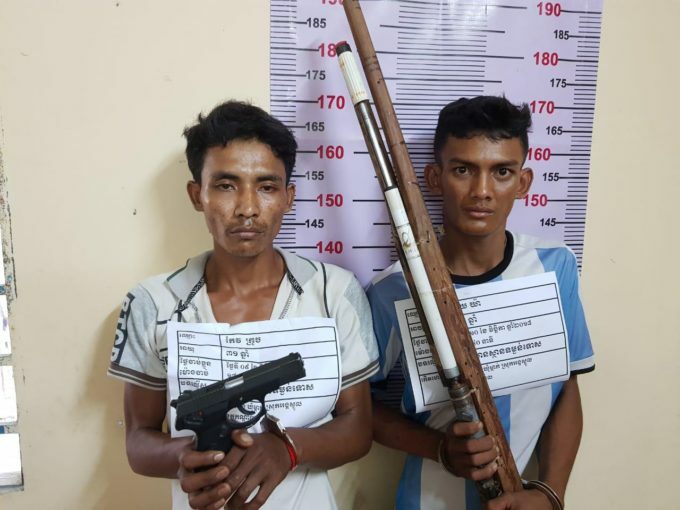 Kandal: Police arrested some armed robbers, and confiscated a pistol and homemade guns on the evening of November 9, 2018 in Veng Village, Mokk Commune, Ang Snoul District, Kandal Province. 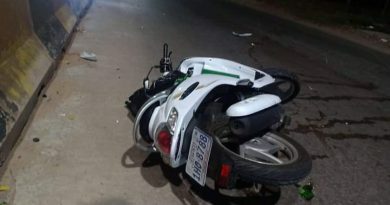 Police officials in Kandal province said that the suspects were three men, Keo Krang, 31, and Soy Yai, 24, A third man, Soy Mao, 22 years old escaped. 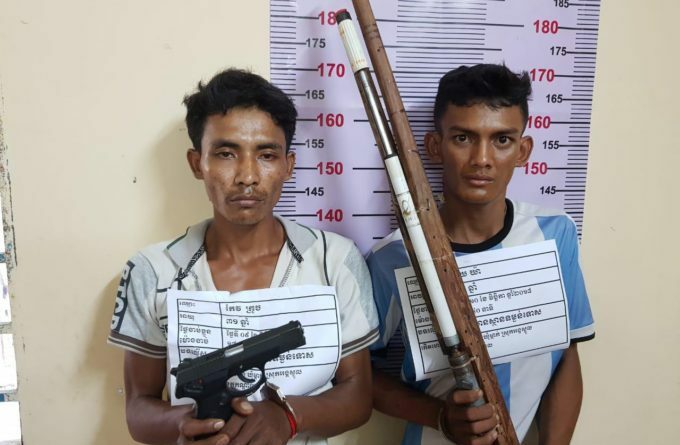 The three suspects are Cambodian, have no real jobs, and live in Vung Veng commune, Mokasi district, Ang Snoul commune, Kandal province. The suspects also confessed to robbing a motorcycle in October. The pistol was purchased from an inmate in Prey Sar prison, Kob Srov, who arranged the deal by phone from inside for $ 2,000. 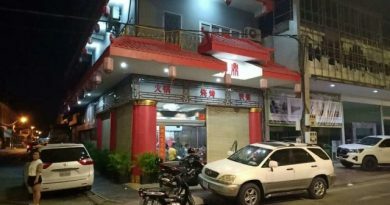 That man has been in the big house for drug dealing since August.